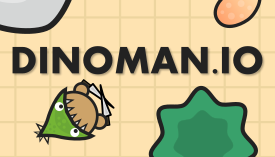 dinoman.io | Play dinoman.io free on iogames.space! dinoman.io is the spinning dinosaur .io game! You play as a dino that is always spinning and rush at enemy players to kill them. Level up and buy upgrades by collecting eggs from the ground. 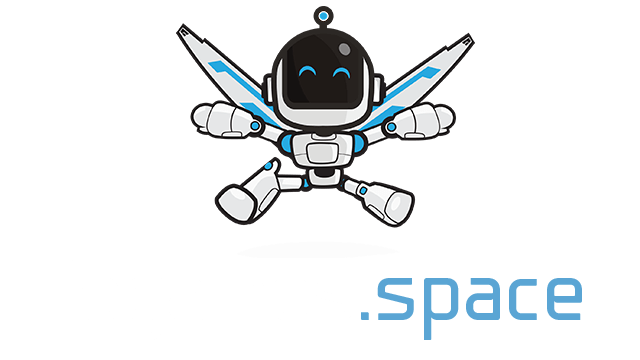 Press Space to become a fake tree, or hide below trees and jump out at your enemies. You spawn at a random location in a small map. Your goal is to kill players by rushing at them. This is a challenge, because you are always spinning, so you must orient yourself correctly to attack other players! As you remain alive in the game, you will level up. You gain experience by hitting eggs and killing players. Each time you level up, you gain a new coin to spend on upgrades. As you progress through levels, it will take more and more experience to level up. There are 3 different types of upgrades: size, spin rate, and sprint time. The size upgrade is self-explanatory: it increases the size of your player. It is useful for collecting eggs and rushing into players more easily, but it also makes you a bigger target to hit. The spin rate upgrade increases how fast you spin. This is useful for making movement more efficient, as you can turn towards new directions faster. On the other hand, it may be harder to control when you need to attack someone. The sprint time upgrade is always useful for rushing forwards during a longer duration. This can be useful for traveling, but also for long distance attacks. You can press Space to become a fake tree. This allows you trick your enemies, and then rush at them when they are not prepared. It is a hard thing to pretend you are a tree when you are small, though, because real trees are much larger than you. The max level of the size upgrade will make your fake tree look exactly like a real tree, making it very easy to trick enemy players. However, if an enemy player attacks you, you can still die as a tree. When you do not have the option to be a fake tree, you can also hide under real trees. While you can see below the tree that you are under, your enemies cannot. If you fit under the tree, no enemy will be able to spot you. Then, when another player comes close to you, simply rush out at the right moment and kill them! The game also has rocks, but rocks are obstacles that you cannot hide under. You should start off the game by collecting eggs. Once you have levelled up a few times, you should choose an upgrade to buy. If you want a productive, fast-paced game, the spin rate upgrade is useful, because it will make your turns faster. If you want a more entertaining game of killing many people or pretending that you are tree, you should upgrade your size. In any case, find a good place to hide, and then jump out at enemies. Alternatively, you could spend the game sprinting around the map and attacking your enemies!